Finding a coach was difficult, ice time was expensive and interest was low, which seems surprising given the legions of ardent jersey-clad hockey fans that flood the Lower Mainland today. Neil Chester, who became Capilano then-college’s first athletics director in 1973, says it was early days for hockey in Vancouver. The Canucks had only joined the NHL in 1970. “That strong hockey following happened subsequent to getting a professional team,” he says. 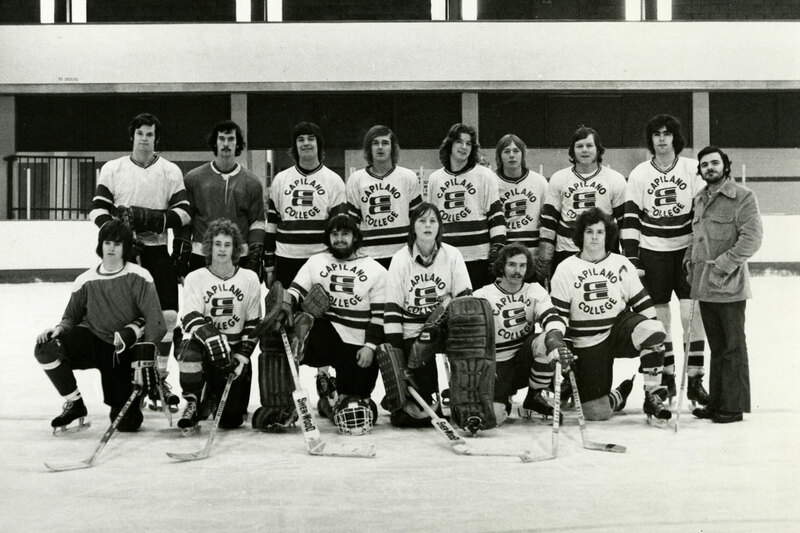 The Pacific Western Athletics Association, then called the Totem Conference, initiated a hockey program that involved all the colleges interested in hitting the ice. When asked how Cap’s team faired, Chester answers with a laugh. Membership fell and Cap was unable to form a team around the remaining diehards, so hockey at Cap melted away.